--> Prop Paddy Ryan denies the NSW Waratahs lack the hunger and drive to win back-to-back Super Rugby crowns. In a week of soul searching ahead of Saturday's crunch match against the unbeaten Hurricanes, coach Michael Cheika has urged his troops to rediscover the motivation levels that led to the Waratahs breaking a 19-year title drought in 2014. "Every player has had the chance for introspection around where we actually sit and the challenge for us is exactly that and to show that on Saturday night," said assistant coach Daryl Gibson. 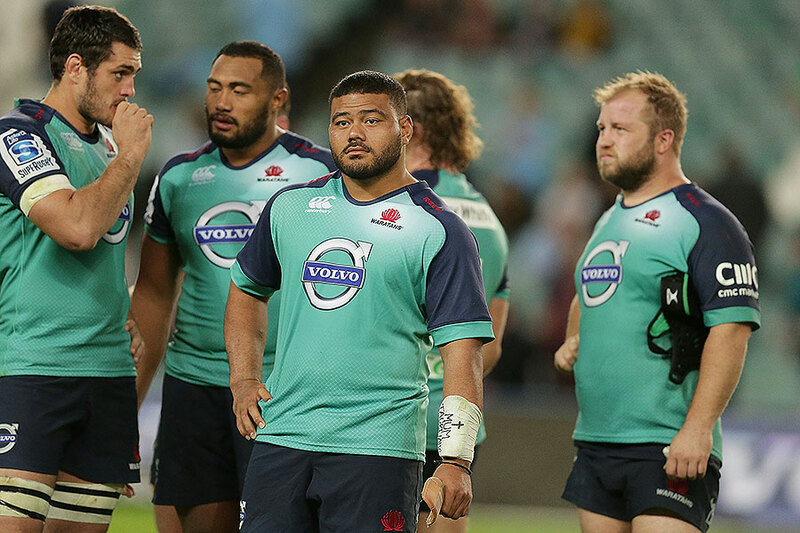 Languishing in 10th spot after just four wins from seven games, the Waratahs' desire has come into question. But after recommitting to the reigning champions for another year, Ryan insists there's no complacency in the ranks. "That feeling you get after winning the competition is what makes you want to win it more and I don't think being four and three is a reflection of us not wanting it," he said. "It's a reflection of us probably not getting things right for long enough. I just feel like the competition gets stronger every year, like everyone can beat everyone and I feel like that's really the case this year. Genuinely everyone can beat everyone, so if you're not on your game for 80 minutes, it doesn't matter where that team is sitting on the table." Ryan's is Gibson's first signature after the former All Black was appointed last week as Cheika's successor as head coach next season. Gibson is hoping the tighthead's retention will help keep other key players at NSW and is "very confident" the likes of off-contract backline stars Israel Folau and Kurtley Beale will remain. "We're in long discussions and, as I've said before, what we can provide is that environment for both KB and Israel and all those other guys we're looking to re-sign," Gibson said. "And it's really great when players re-sign. Paddy's signing is significant one for the fact that he's voting for the team." Wallabies captain Michael Hooper and Test teammates Rob Horne, Nick Phipps and Benn Robinson are also still on the Waratahs' books beyond this year's World Cup in Britain. Ryan feels the outlook is bright and he sees no reason to chase the big dollars on offer overseas. "For me, you're better off being happy with where you are than worrying about what your pay cheque," the 26-year-old said. "If you start worrying about your pay cheque and your happiness goes, then your next pay cheque is going to be smaller anyway. I just feel like I'm not done yet. I wasn't ready to make a move overseas and I love being able to play for NSW."